Gossip Sheet by Donna Demaio –..
Quote of the week: ?I?ve been binge watching,? says Sigrid Thornton as she told me how pleased she is to join the cast of Wentworth ( Foxtel). She told me, ?I was in the original cast of Prisoner so it has a particular resonance for me. I?ve always been interested in a re-work and it?s very interesting seeing it come to fruition and working so well. It?s a great forum for a wonderful female ensemble cast.? The fabulous Wentworth is in the throes of Season 4 and continues to be a well-crafted, gripping, excellent drama filled with fantastic performances. ?It?s cold. You get your thermal undies on and you know it?s truffle season. There?s an excitement and anticipation. The flavour is so intense, earthy and a little bit funky. Truffle has a unique flavour and is versatile. It can go on scrambled eggs, risotto, pasta and small amounts used in desserts,? says an obviously excited Guy Grossi who was guest of honour at the launch of the Truffle Melbourne Festival at Prahran market. And he reckons people aren?t as intimidated by the truffle as they used to be. 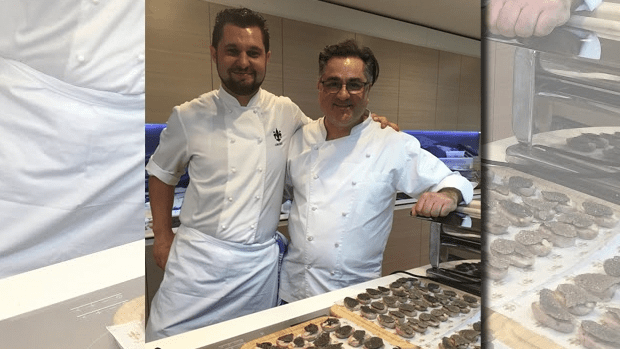 At Prahran market, (18 and 19 June) there will be exceptional chefs such as Nicky Riemer and Philippe Mouchel sharing recipes, food photography fun, and a truffle trail to follow across the stalls. Meanwhile which foodie reality show contestant chanced upon the Truffle Melbourne Festival launch? Despite feeling under-dressed for the occasion (she was out doing her fruit and veg shop) she joined the festivities and watched in awe as Grossi gave a cooking demo. Flukey. Tweet of the week: @toddsampsonOz currently filming in the slums of Mumbai-they don?t have much but they do have far better 4G coverage than Australia. Michael Caton in Last Cab to Darwin, which has helped steer Australian movies to a record haul at the local box office. 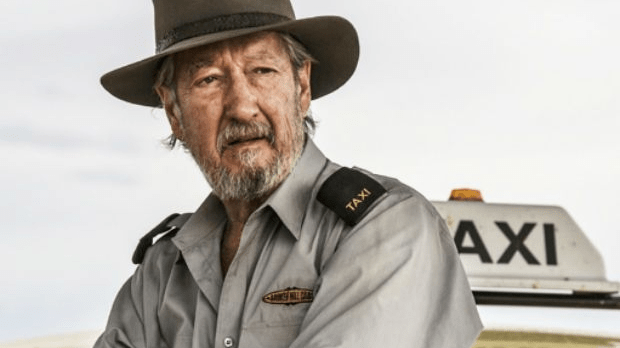 Months after Michael Caton was spotted (by me) in LA spruiking Last Cab to Darwin, the award winning film is opening across cinemas in the United States. The acclaimed film is screening in a number of cities including New York, LA, Boston, San Francisco, Chicago and Seattle across this month and July. Actor/singer Matt Hetherington made the move with family to LA a few years ago. He keeps zipping back to Australia for gigs but recently got a buzz from singing for a travel agent to the stars who turned 100 and partied at The Beverly Hills Hotel. Hetherington sang for the woman who once looked after the travel plans of the likes of Bob Hope, Sammy Davis Jnr and Fred Astaire. Love to hear those stories. Congratulations to actor/writer/director Matt Day ( Rake) whose short film Perry has secured official selection at the Palm Springs Short Festival later this month. The film, about a drug dealer who overstays his welcome at a dinner party, was shown recently at the St Kilda Film Festival. Wonderful cast including the brilliant Adrienne Pickering. Spotted: Matching souvenir mugs have surfaced. One says ? Hillary Clinton 2016? and the other says ?Bill Clinton First First Man 2016?. Giveaway: The Italian crooner Patrizio Buanne is back and in brilliant form with a gorgeous new CD, Bravo The First 10 years of hits. Tunes include Mambo Italiano, Surrender, Parla Piu Piano and You?re My World. For your chance to win a copy please email ddemaio@3aw.com.au. Oh and catch Buanne on tour at Hamer Hall on June 19th.